Today was the last fish CSA in my series of 6. The catch was a lovely monkfish filet and since it was my first time cooking monkfish, I decided to go with something simple. After marinating the meaty filet in a rosemary lemon garlic dressing, I seared them off on the skillet and topped them with an olive tapenade. 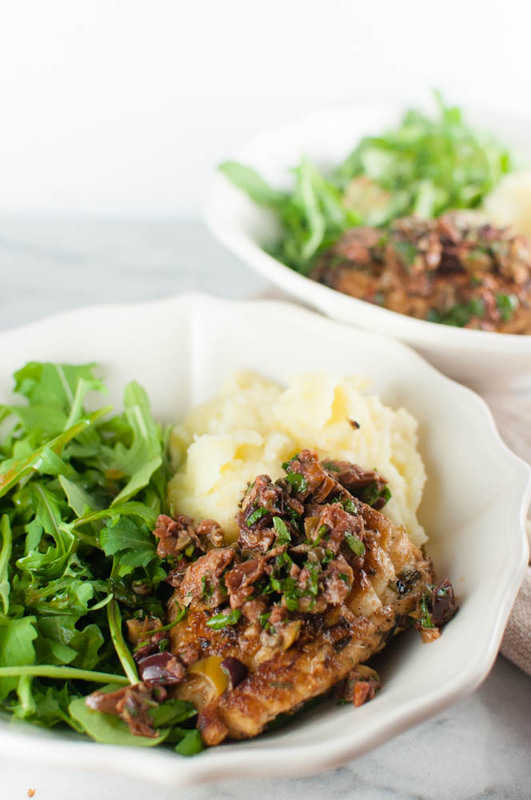 Lightly whipped lemon potatoes with a simple arugula salad was perfect with the Mediterranean inspired monkfish.